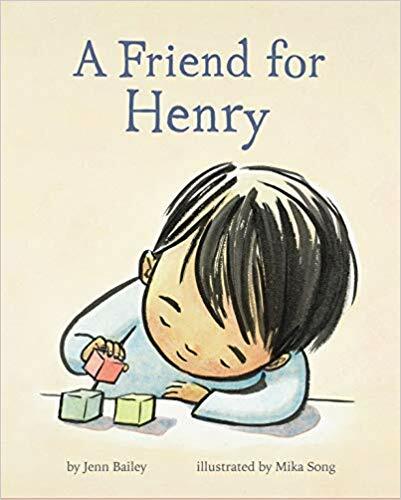 I should probably start by explaining that A Friend for Henry (illustrated by Mika Song (Chronicle, 2019)) is the story of a young boy on the autism spectrum who is trying to find friendship. He is modeled after my middle son. In early drafts of the manuscript, I would get comments from my critique group that the main character, Henry, didn’t really seem to want a friend. He seemed content playing alone and didn’t exhibit agency. They were right. The way I’d constructed the story didn’t give readers any clues about the inner turmoil I knew was taking place. My agent at the time, who is not my agent now, even suggested I stop trying to write this from Henry’s point of view. She thought if I chose the friend as the view point character and my life would be easier. It would have been, but this was a nonstarter for me. Talk about taking away Henry’s agency! It negated everything I was hoping to accomplish with the story. I didn’t want Henry explained, I wanted Henry to do the explaining. But how could I show that to my picture book audience? How could I convey what I knew was happening inside Henry’s mind? I had limited word count, limited pages, and I’m no illustrator. I had to do it with language, so I decided to share the turmoil. To share the sensory, disjointed, rapid-fire thought process. I believe we all go through this process when confronted with a new situation, a new acquittance, a new experience. And I thought if I could slow the process down, examine what it looked like and felt like, I’d be on my way to seeing through Henry’s eyes. And, of course, I spoke with my son. We did some deep, emotional dives into his experiences and I’m grateful he let me pick at the wounds. He was invaluable in helping me bring language to the moment. Although I hope I’ve hit on some universal truths, I do know my story is just one example of how one child navigates the ofttimes baffling realm of friendship. As an author-teacher/librarian/agent/publicist/editor, how do your various roles inform one another? Besides being an author and a speaker I am an editor on a lot of different levels. I do freelance editorial work for writers and I am an acquiring editor for a new publisher. But, I’m also a technical editor for a civil engineering and environmental consulting firm. I love the variety of what I do for them – wetland conservation reports, whooping crane migration reports, bat acoustical studies. Keeps me curious and motivated to learn about a diverse array of topics. Let me tell you, there’s a whole other side to bridges and wind farms. I also dearly love the speaking and teaching parts of my jobs. They keep me grounded in craft and yet inspired to keep creating. 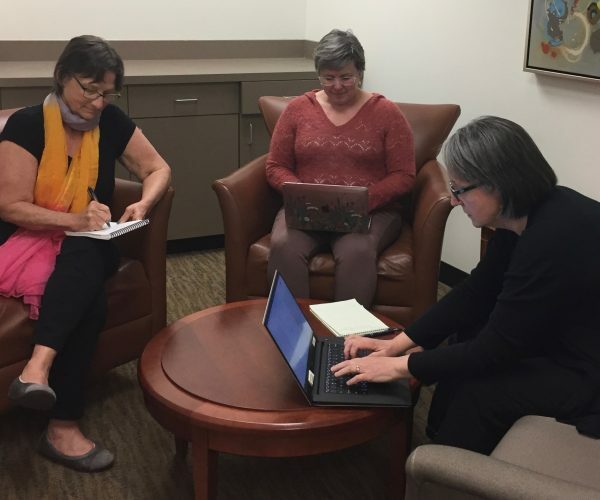 All the things I learned while writing and keynoting my Vermont College of Fine Arts MFA in Writing for Children and Young Adults graduate lecture have served me wonderfully well on this other side of my career. I now have a nice array of craft topics and workshop materials that I present. And all of that study, intentional reading, and introspection seeps into my own writing. A friend of mine had an agent who didn’t just represent young adult authors, but also genre romance authors. The agent was going to be at the annual Romance Writers of America (RWA) conference in Chicago, and, as you do, four of us decided to register for the conference and go on a road trip. If you haven’t been to an out-of-your genre conference, you should try one. And if you happen to choose the Romance Writers of America, I can guarantee you will have a splendid time. They are delightful folk, welcoming and knowledgeable. They respect the craft, are diligent and thoughtful in their work, and they’re also up for innuendos and shenanigans. They respected every author’s comfort level by segregating their nightly readings via the Scoville scale. Seriously. How hot did you want to go? And if you love a party with swag, you definitely picked some up there, although you might not want your mother going through the bag. For all the fun, here is something else you should know. 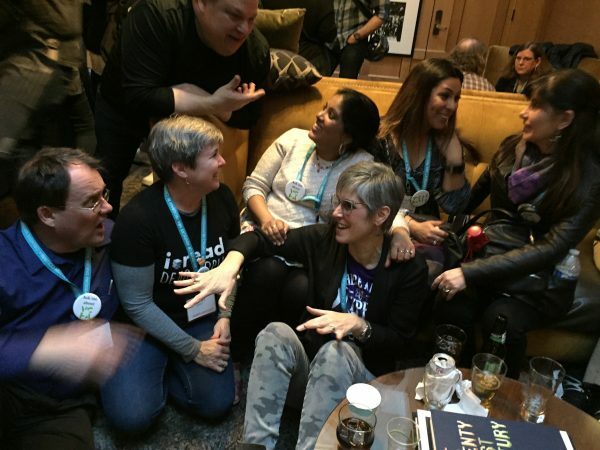 The best lecture I’ve ever heard on pitching was at this RWA conference. One of the best lectures I’ve ever heard on crafting subtle, immersive character distinctions was at this RWA conference. And if you’re curious about which verbs belong to alpha males and which verbs belong to beta males, I learned that at this conference too. I did get to meet the agent, and although nothing came from it, I found the trip to be well worth the time, money, and effort. I sincerely encourage kidlit authors–any authors–to break out of their bunny-eat-bunny worlds and dip their toe in another genre. Why? Because there is always more to learn. What advice do you have for the beginning children’s writers? I see this more in picture books than I do in YA, but I think it is worth sharing regardless of your story’s target audience. A lot of new-to-the-craft clients who come to me have something they want to tell children. They have a lesson they want children to learn. I encourage these beginning authors to think back and remember how well an adult with a morality tale went down with them when they were a child. We are not writing to teach a child. We are writing to share experiences and outcomes. We write to broaden horizons and imagination. We write to start a conversation and encourage curiosity. I think picture books are the ultimate in tactile, three-dimensional, dialogue starters. If our reader never gets a chance to join in the discussion, have an opinion, or contribute to the story, we’re doing it wrong. I started in the MFA in Writing for Children at Simmons University in 2012, but when I took a course that overviewed multiple critical lenses we use to engage Children’s Literature, I fell head over heels for that path and switched to the MA. I took very few craft classes in the first semester, so going into writing Hands Up! (illustrated by Shane W. Evans (Dial, 2019)), I didn’t have much technique beyond having studied various forms of writing for children with a critical lens and writing short stories, chapter books, and picture books on the side. In 2014, I started working with my friend and fellow Simmons alum, Karen Boss, on the manuscript. When I started writing, the point was to find a way to express my emotions and responses to what I was seeing happening across the U.S., specifically in Ferguson at the time, to my community. Many of the earlier drafts are quite dark and book wasn’t always a picture book. Many of the themes that I saw as critical to attaining justice in cases like Michael Brown’s death, themes like intergenerational solidarity, cooperative economics and organized protests, made it into the final book, but some of the more explicit allusions to what was happening, what is still happening, did not. And that was the right decision. The space that I was in when I wrote the book was constant heartache and the process of transitioning to be able to highlight joy and resilience was work. What the final book has become is a testament to the personal and literary work I completed. The book is my heart work and it’s a time capsule. 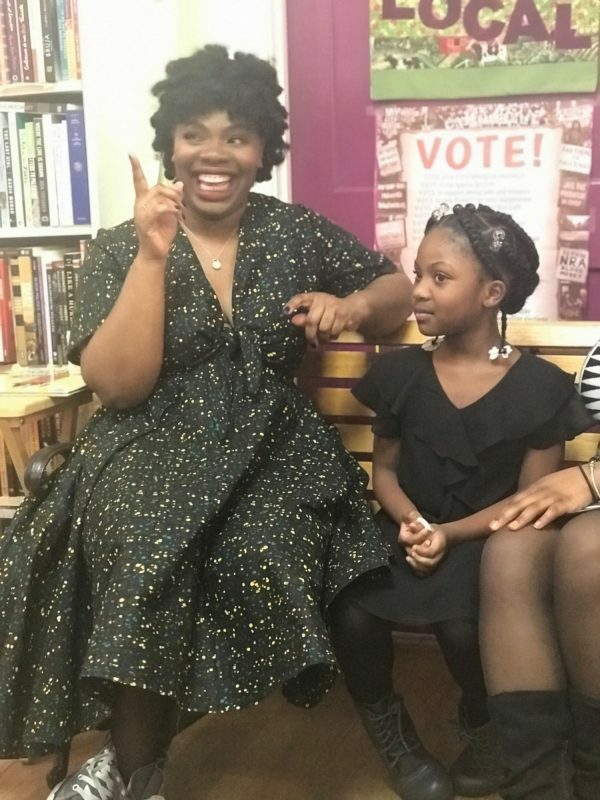 My niece and my best friend interviewed me for my first-ever book launch. My nephew and my little cousin reading the book together out loud. When Ms. Sharon Draper (!) emailed me after she got a copy and said she was going to share it with her grandkids, high praise! There haven’t been any worst moments but I did read a review of the book that said the reader enjoyed the book up until the very end at the protest and after reading “Black Lives Matter” on one of the signs she was done with the book. I don’t mind her being done with the book, but it was unfortunate that she liked all the instances of this little Black girl living in the book just not the explicit assertion that her life matters. How did the outside (non-children’s-YA-lit) world react to the news of your sale? Did they react? Ha-ha, I don’t know that I heard anything from anyone except my friends and family about the book sale. Now that the book is out I’m getting some responses from kids which I really appreciate, I love book mail! The responses are great. I was like yes, but I didn’t illustrate it. Then, a girl next to him said, “I could draw the pictures,” and the little boy cocked his head to the side, nodded and they did a little high-five thing, and I cannot wait to read that book! Breanna at a library visit. 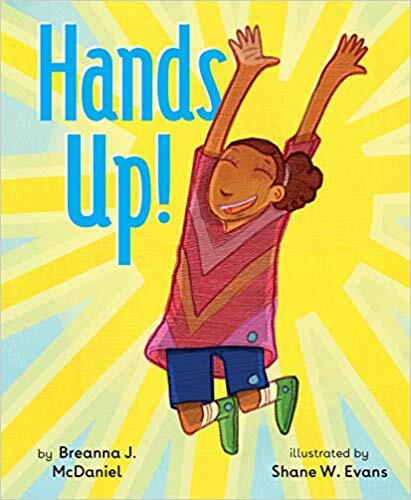 We also got an email from a teacher in North Carolina whose class really likes the illustrator Shane Evans’s books and they figure that Viv, from Hands Up!, and the little boy in another of Shane’s books are brother and sister. I’m excited and blessed to have a character who shares lineage with Shane’s creations. Ha-ha, this is funny because when I was revising the book, at the top of my head was my role as a scholar and feeling like my book had to fit into a strict form as a picture book. Trying to create a technically perfect picture book was the worst because whenever my heart came into contact with my academic knowledge it got shut down. I found more freedom once I started working with my editor and she helped me pull out the essence and helped create form around it. I think my knowledge about what’s out there with regards to historic and contemporary representations of Black children in picture books was very helpful when I started to shape the character and her experiences with her parents, grandparents and community members. I pulled forward some trends and left some on the shelf. Finally, as a reviewer I thought through not just the book, but also responses to the book. I wrote a really harsh critique of the book once it was finished, then I tore it up. I am usually my harshest critique, so once Bre faced off with Bre, I figured everything else would be a breeze. Jenn Bailey has her MFA in Writing for Children and Young Adults from the Vermont College of Fine Arts. 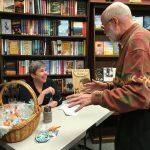 Her work has received the Candlewick Picture Book Scholarship and the Beyond Words award, among others. 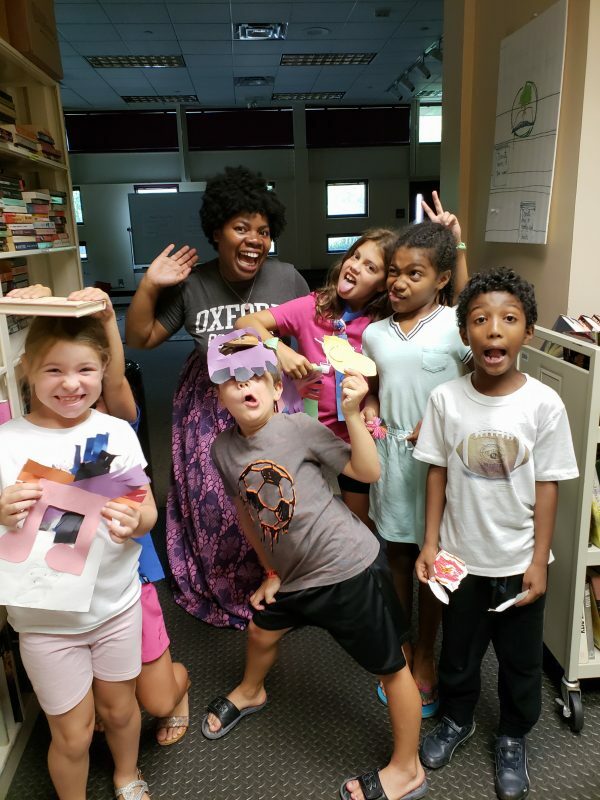 Jenn is a frequent guest lecturer and workshop leader for SCBWI, Heartland Writers for Kids and Teens, and the One Year Adventure Novel workshops. Jenn is published by Chronicle Books and is represented by Rosemary Stimola. 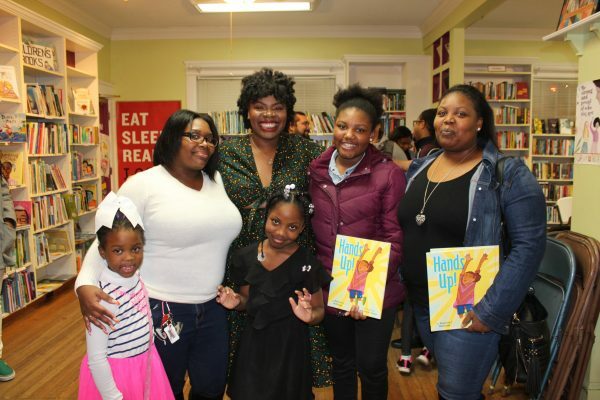 Breanna J. McDaniel hails from College Park, Georgia and is the author of the debut picture book, Hands Up! She is also a second year PhD researcher at the University of Cambridge, where her research is focused on narrative inquiries into readers’ responses to the depiction of Black children as food in contemporary picture books. 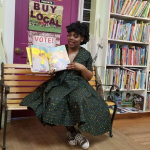 In addition to her growing body of scholarship and her creative work she is taking strides to unite communities within her field to encourage broader representation of children from diverse backgrounds. 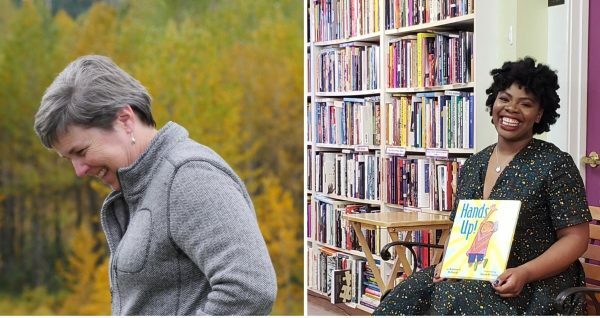 To this end she is also organizing a conference in Glasgow in August of this year from REIYL (Researchers Exploring Inclusive Youth Literature) an initiative she co-founded with colleague Joshua Simpson. She is a proud alumna of Emory University and Simmons University.